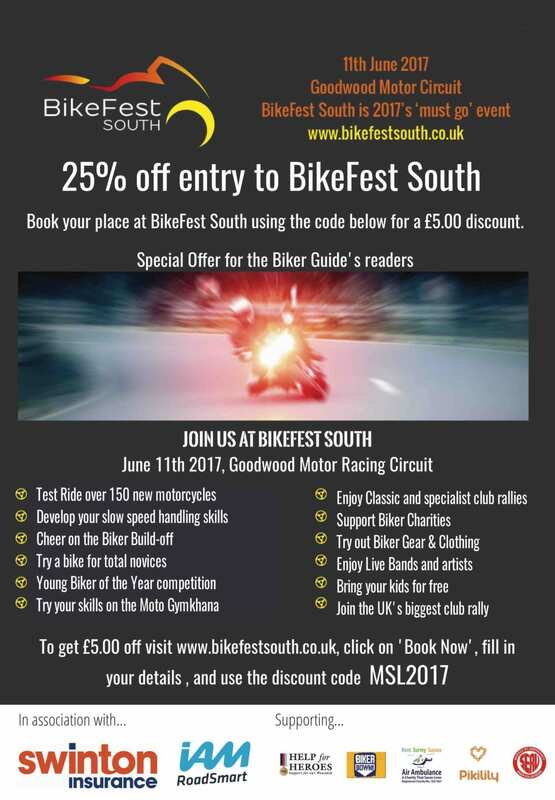 We have a special offer for Motorcycle Sport & Leisure readers – get 25% off tickets to BikeFest South – the UK’s largest road test and skills event at the world-famous Goodwood Motor Racing Circuit. To get advance tickets for £15 instead of the usual £20, click this link and use offer code MSL2017. Next Post:Ducati and Triumph Glasgow Revved up to Rock!